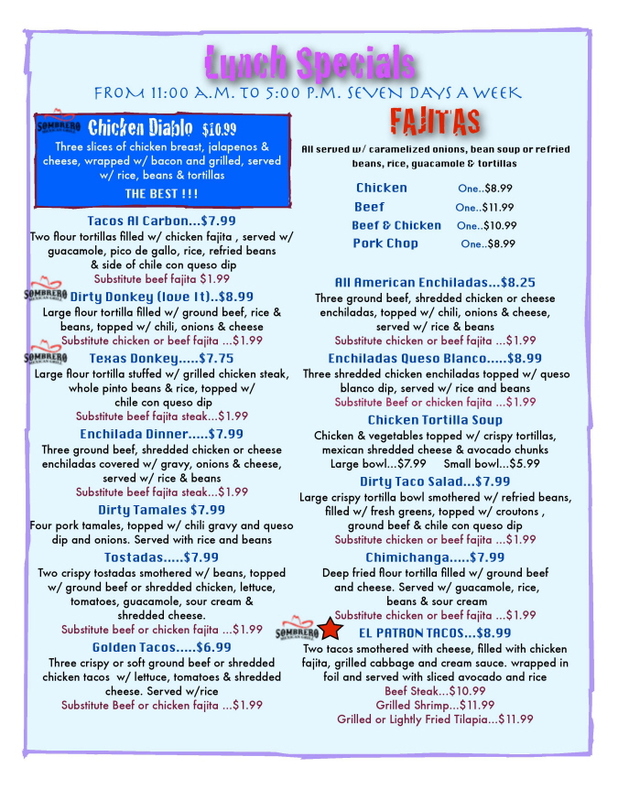 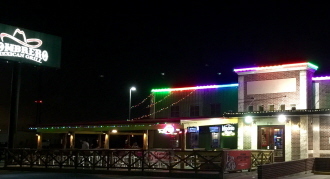 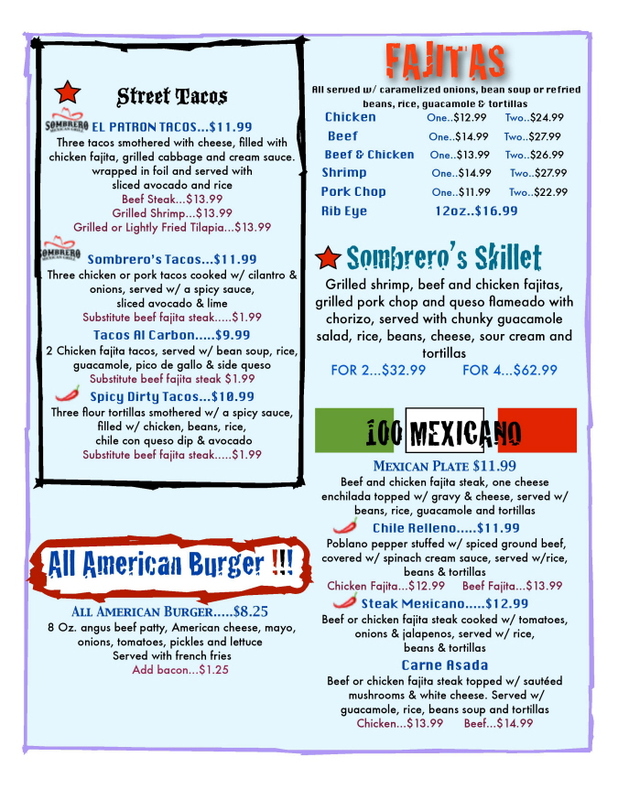 established in May 2015, is a family oriented Mexican grill, located in Nederland, Texas on Hwy 69 North. 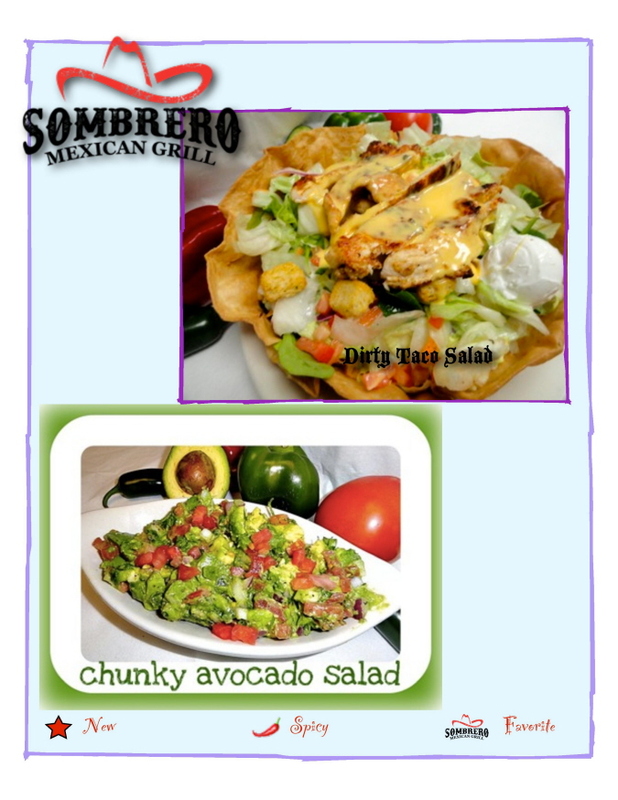 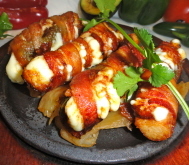 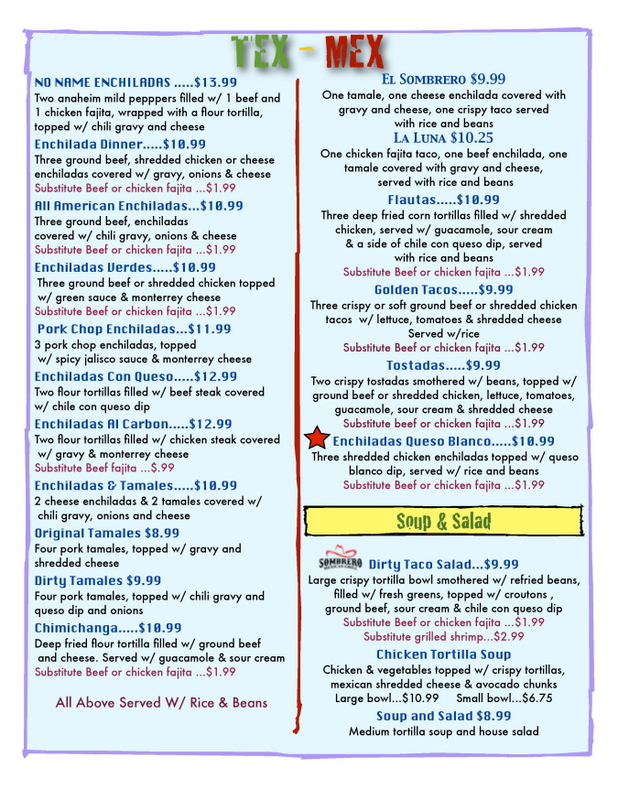 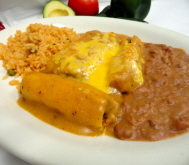 The Menu at Sombrero Mexican Grill features classic TexMex dishes such as: Tacos, Enchiladas, Burritos, Nachos, Tamales and Fajitas. 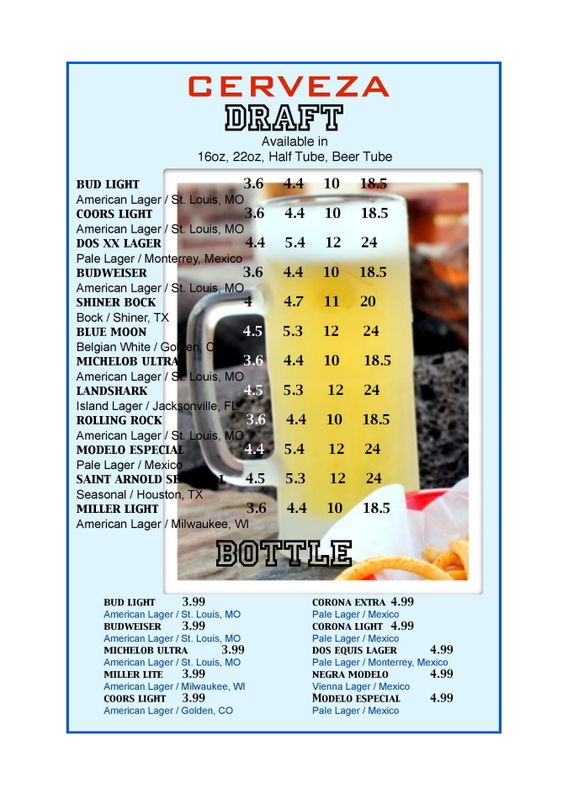 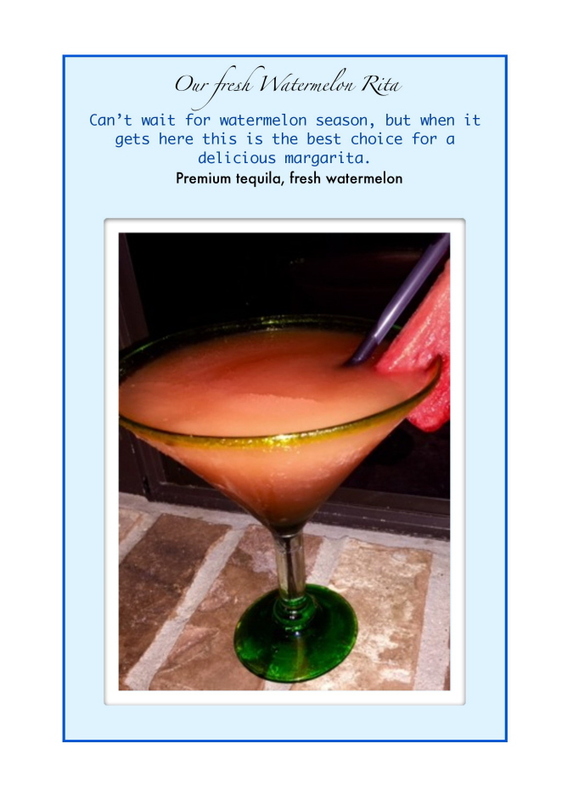 Some Customer Favorites include: Sombrero's Skillet, Beef, Chicken & Shrimp Fajitas, Chicken Tortilla Soup, Enchiladas Queso Blanco and... 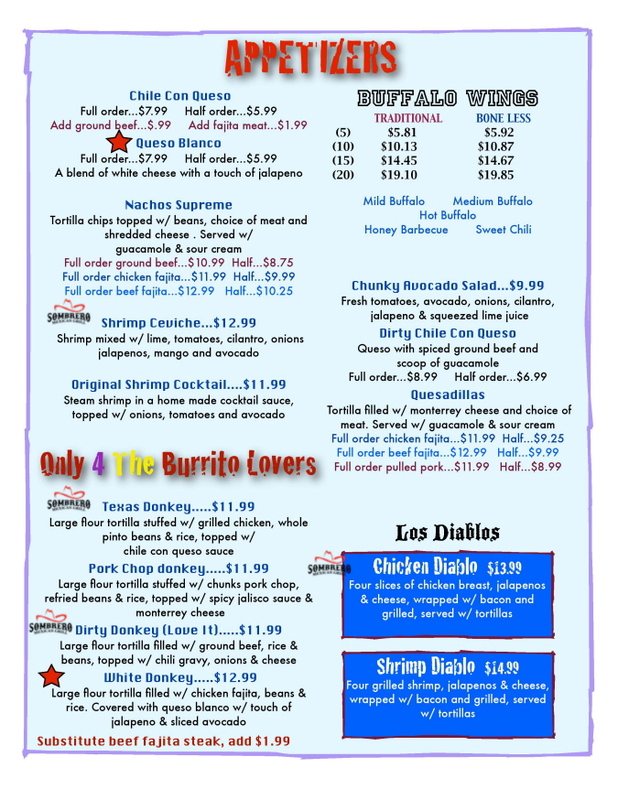 The Chicken Diablo! 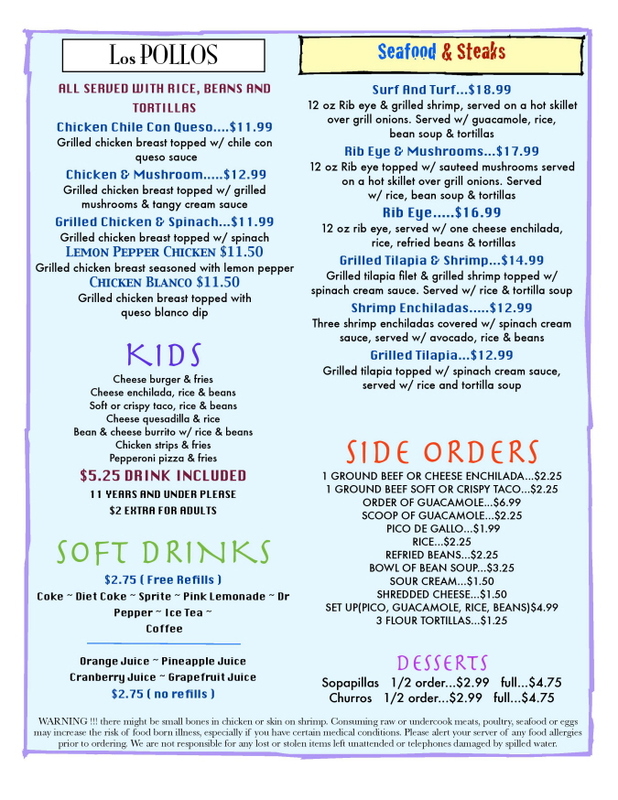 The Kid's Menu includes children's favorites like: Cheese Enchilada, Soft Beef Taco, Beef Burrito, Pepperoni Pizza and Hamburger with French Fries. 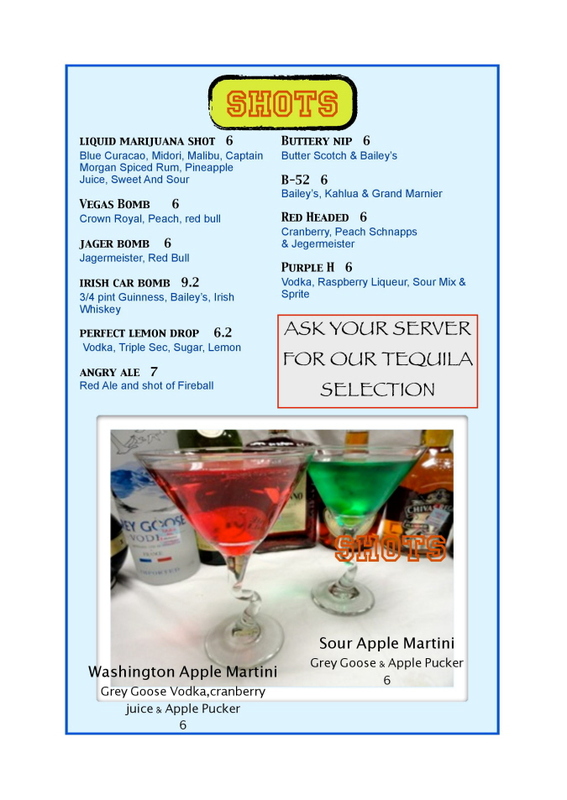 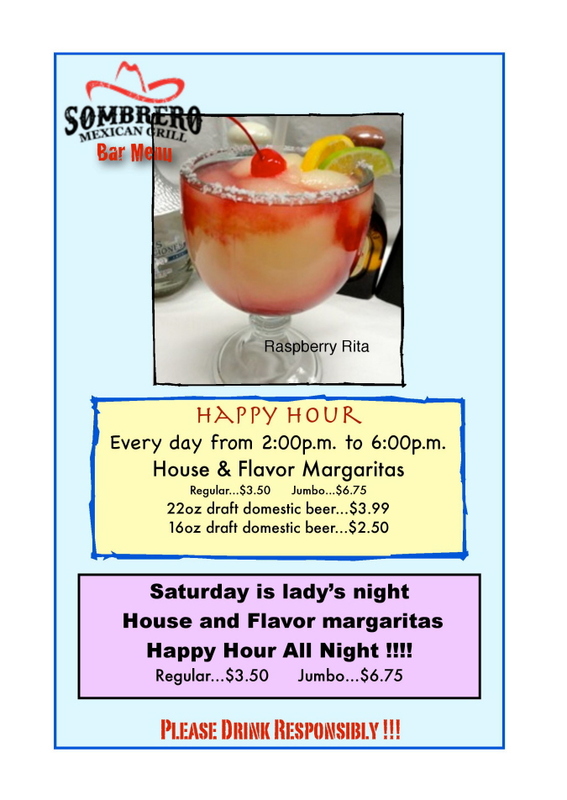 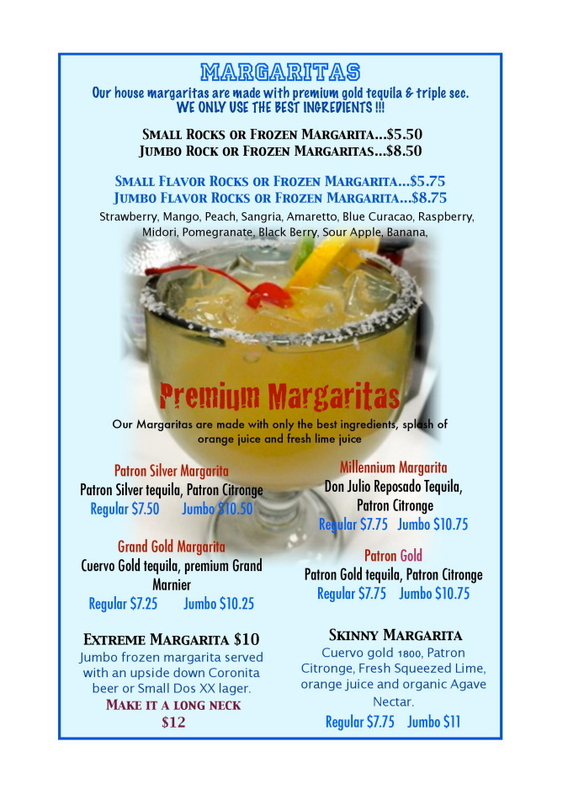 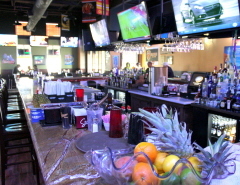 The Sombrero Mexican Grill has Happy Hour... Monday thru Saturday... or enjoy a drink from the Full Service Bar while watching one of the many TVs. 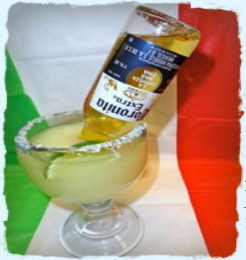 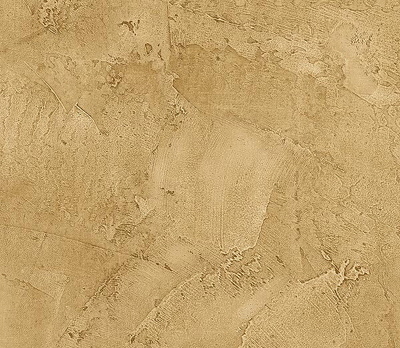 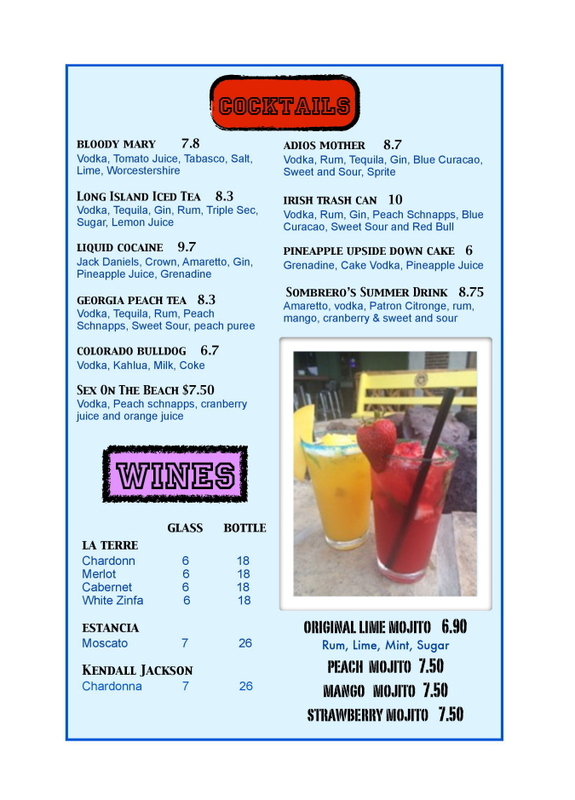 La Cantina serves both domestic and imported beer, wine, tequila and mixed drinks!